Chicagoland Certified Nursing Assistants, Caregivers and those interested in a fulfilling career in caregiving are invited to join Caregiverlist​® at Midwestern Career College for a morning or afternoon of workshops, career education, food, massages and employment opportunities on Friday, June 16, 2017. This day gives us a chance to show our appreciation. Caregiverlist® and Midwestern Career College have partnered to host a CNA and Caregiver Day of Celebration on Friday, June 16, 2017, during this year’s National Nursing Assistants week. All Chicagoland CNAs and senior caregivers are invited to this event in recognition of the invaluable service they provide to area seniors and to highlight the need for these caring professionals as healthcare occupations are projected to grow by 19% in the next decade. Chicago area caregiver and nursing assistant job seekers are invited to the Chicago CNA and Caregiver Appreciation Day, too, along with currently employed caregiving professionals. This day of celebration will feature training workshops and an all-day career fair to give attendees the opportunity to network with hiring senior home care agencies and nursing homes. Caregivers may speak with Midwestern Career College's class instructors, visit classrooms and learn about ways to qualify for funding to pay for CNA class tuition. Caregivers, the "specialists in the art of caring,” will receive complimentary chair massages, goody bags, raffle prizes, along with pizza and snacks. Memory loss training documentary movies will be highlighted as a new caregiver training resource, including Too Soon to Forget:The Journey of Younger Onset Alzheimer’s Disease produced by Rush Alzheimer’s Disease Center located in Chicago. The large aging population of baby boomers, coupled with their desire to age-in-place, at home, means an increase in the need for senior care workers. Healthcare occupations will add more jobs than any other group of occupations. According to the U.S. Bureau of Labor, almost 1.3 million new professional paid caregivers including personal care aides, home health aides, and certified nursing assistants will be needed to meet the demand over the next few years. For those considering a career in professional caregiving, in-home senior care is rewarding, pays above minimum wage, and requires no formal educational credentials, however, Illinois caregivers are required to receive an 8-hour caregiver training annually. Many times, family caregivers who had previously cared for senior family members train to become paid caregivers. Starting as a companion caregiver and subsequently becoming a certified nursing aide are the first steps in an enriching career path and secure long-term employment. Nursing assistant courses can usually be completed within 6 weeks and cost around $1,000 but tuition grants and reimbursement by employers are available. Please come join us on Friday, June 16th and bring a friend. Caregiverlist® is a provider of digital tools created by experienced senior home care experts. 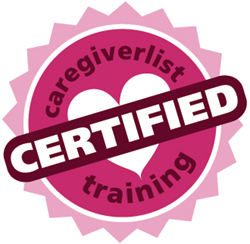 Caregiverlist® first offered caregiver certification training in 2012, applying digital tools to caregiver training customized to meet new state training guidelines for the senior caregiver caring for seniors in their own homes. Caregiver Training University powers the caregiver training, customized for individual state requirements. Caregiverlist® also provides CNA school costs directory, daily costs and ratings of nursing homes and by-state senior care information. For more information, please visit http://www.caregiverlist.com. At Midwestern Career College, we transform lives by preparing students for career success. Our mission is to provide premier career-focused education that empowers students with academic training, technical expertise, and professional support to launch or advance their successful careers. Founded in 2004, Midwestern Career College specializes in healthcare education training programs including Certified Nursing Assistant courses.